Ramboll’s Head of Façade, Benjamin Beer shared his expertise at the ZAK World of Façades Conference held in Dubai, United Arab Emirates. 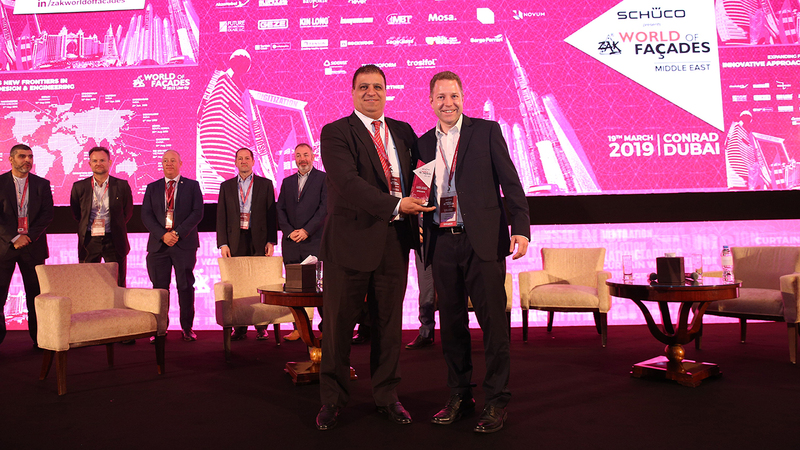 At the ZAK World of Façades Conference held recently in Dubai, Benjamin Beer, Head of Façades in the Middle East spoke about advanced façade engineering for landmark projects in the Middle East, sustainable façade engineering, complex geometry façades, 3D printing, high-tech composite façade materials and presented an outlook of the future. Benjamin has been working as a façade professional for more than 17 years with a global portfolio of projects and has engineered façades for landmark buildings across London, New York, Dubai and Stuttgart. About the conference, he said “After being the moderator of the event last year, I was happy to be invited as the speaker in front of a larger audience. The ZAK event is where the entire façade industry comes together, and hence this is a great opportunity to network and meet industry partners.” The audience at the conference comprised of a mix of clients, architects, consultants, suppliers and contractors. Zak World of Façades is an International conference series about façade design and engineering. The conference takes place in Asia (Singapore, India, Sri Lanka, Indonesia, Thailand, Malaysia, Philippines and Hong Kong), Middle East (United Arab Emirates, Qatar, Saudi Arabia and Kuwait), Africa (Kenya, Morocco and South Africa), Europe (United Kingdom and France), Australasia (Australia and New Zealand) and the United States of America. This edition of the conference is the 58th global edition, 12th edition in the GCC and the 5th edition in UAE, the conference discussed the latest innovations and challenges in the construction industry pertaining to the building envelope and showcased the latest technological solutions.